Last weekend we took Max to the beautiful Epcot International Flower and Garden Festival. We are Florida Resident Annual Pass holders, so I try to go each year to check it out. The grounds at Epcot are always pristine, but the flowers and displays are just stunning, with pods of flowers floating in the reflecting pools. 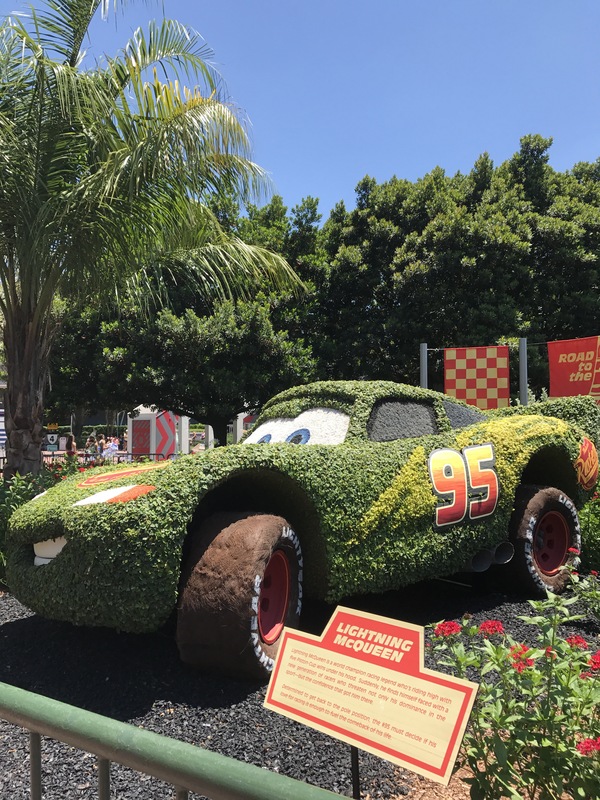 Throughout the park you will discover amazing topiaries of your favorite Disney Characters like Elsa, Mickey Mouse and Rafiki, and even a butterfly garden to explore. Mom and dad, take advantage of the handful of pop up food and beverage booths from the Epcot International Food and Wine Festival. Grab your favorite beer or wine to sit and enjoy as your kiddos let off some steam on the perfectly manicured playgrounds. We started by riding the Figment’s Imagination ride where Max found his newest love, Figment. That was followed by a pit stop at the playground, and then we walked around World Showcase and checked out each country. Before we left for the day, Max stopped to say goodbye to his new friend Figment. This year it runs from March 1 though May 29th, so stop by if you get a chance. Click HERE to check out the special events and concert series taking place during the festival.